Although you might feel compelled to thank us for providing you with the 25 best foods for a hangover headache, there really is no need; as we have all suffered the consequential effects that alcohol has on our body. Now, you would think that with how common it is for adults to crack open an icy-cold brew after a long, exhausting day at work; pair a complementary wine to enjoy with dinner; or even paint the town red with friends on a Friday or Saturday night, that there would be this magical elixir to cure the dreaded hangover headache that often follows the morning after. Well, we hate to be the ones to burst your bubble, but—there’s really not! Quite surprisingly, there is little evidence to verify that there is actually anything out there that is a surefire way to cure hangover symptoms (besides maybe the obvious, lay off the sauce). In fact, many of the methods you may already be familiar with may even be doing you more harm than good by agitating your symptoms. Yikes! We know what you’re thinking, but there is no need to give up hope on relieving those horrid symptoms just yet. We at Insider Monkey did a little extra digging when it comes to the best foods for hangover headaches, and have turned to science in hopes of finding a better understanding of the underlining causes of the hangover so that we could then more accurately identify the best foods you can eat to aid in alleviating the symptoms that you can almost always expect after a night of drinking. What did we find? Even scientists are at a bit of a loss when it comes to pinpointing what it is that actually causes hangovers! You look a little concerned, again. Don’t worry; we’ve still got you covered! 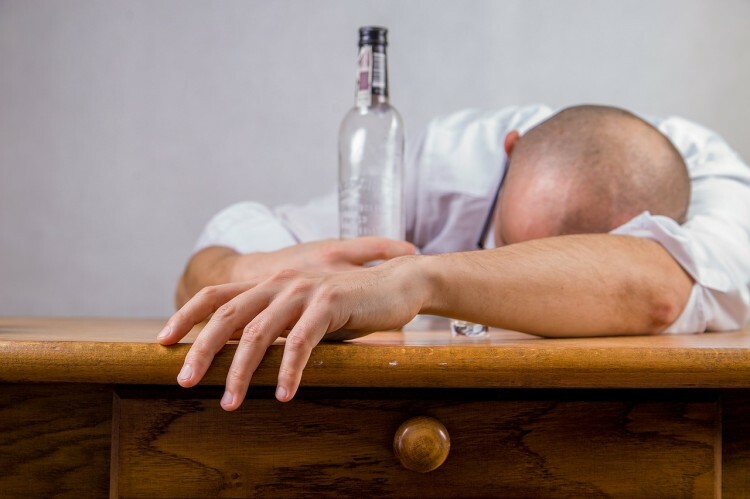 Despite the fact that many scientists seem to be baffled when it comes to explaining what exactly causes hangovers, there is still a lot of data to validate why you suffer from certain symptoms the morning after you drink. These may not be the definite causes of the hangover itself, but lest you forget we’re talking hangover headaches, here; and there is a good understanding as to why you wake up with your head feeling a lot like Mount Vesuvius before its infamous eruption. So, here’s what science does confirm. Like caffeine, alcohol is a diuretic; which is basically a substance that increases the production of urine, thus causing you to have to go more frequently. The more you micturate, the more vital fluids you are losing; and if you’re not replacing the water that your body so desperately needs for proper function, your parched organs begin to embezzle water from your brain. Now, your brain is made up of roughly 73% water, and with your other organs draining off this water, it actually causes it to shrink in size; which explains the throbbing you feel. Aside from just water, your body also emanates other components such as glucose, potassium, and salt; all of which are required for standard brain function and even muscle coordination. The root of detoxification in your body stems back to your liver. Everything that you consume gets broken down in your digestive system until it is small enough for the nutrients to be freed into your bloodstream. These nutrients first head to the liver for an essential process comparable to a quality assurance check. Once in the liver, enzymes metabolize nutrients on top of ridding your body of any toxins, when necessary. After being processed by the liver, what is left is now safe to venture into your bloodstream. When ethanol, the intoxicating agent found in alcohol, enters the liver to begin the metabolic process, special enzymes known as alcohol dehydrogenases are responsible for breaking it down. Ethanol is first broken down into its metabolic byproduct known as acetaldehyde. In this state, this organic chemical compound can actually be up to 30 times more toxic to your body than the alcohol, itself and can also be partially held responsible for multiple hangover symptoms! So, enzymes called aldehyde dehydrogenase take over and work with a compound known as glutathione to further break the acetaldehyde down to its harmless and easily excreted state known as acetate. So, what’s the issue? That glutathione we mentioned it’s actually an essential antioxidant, and there is not a whole lot of it in your liver. Consequently, the more you drink, the more acetaldehyde needs to be broken down; the more acetaldehyde to break down the more glutathione is used up, and with less glutathione in your body than acetaldehyde, this destructive toxin is free to wreak cataclysmic havoc on your body. Your liver isn’t your only organ working for you, at this point. Your other organs are on the job, as well, working to correct the chemical imbalance in your body. Located at the base of your brain is your pituitary gland. Among other things, this pea-sized endocrine gland is responsible for controlling the release of a hormone simply called antidiuretic hormone. Once generated by the pituitary gland, the antidiuretic hormone journeys through the bloodstream, traveling to your kidneys. Kidneys are a pretty dynamic organ, but in this case, your kidneys are responsible for overseeing the amount of water in your body and determining whether or not it can afford to get rid of it. When you’re dehydrated, your antidiuretic hormone tries desperately to retain water inside your body by prompting the production of aquaporins in your kidneys. Aquaporins are fundamental membrane proteins that basically act as water channels in your kidney’s cell membrane, and rectify the flow of water–allowing it to be reabsorbed into your body. So, with less water in your body more of the antidiuretic hormone is released to produce greater amounts of aquaporins to ensure that water is being absorbed back into your body instead of being peed out. Alcohol actually obstructs the pituitary gland from releasing antidiuretic hormone, resulting in a lack of production of crucial aquaporins that are now, especially needed to reabsorb water instead of allowing it to abandon you when you need it most through urination. Here is when your desperate organs begin to frantically search for water in your body, and eventually find it in your brain. Your desiccated organs don’t hesitate to ransack your brain for its water, and can you blame them? They need it, too! So, now that we understand what is going on in your body as you are consuming alcohol, we can determine the best foods for your hangover headache; and although this may be the most bothersome of hangover symptoms, it may still be in your best interest to check out our list of 8 easily digestible foods to soothe an upset stomach, as your headache is often accompanied by an upset stomach. Now, finally, let’s take a look at best foods for a hangover headache!